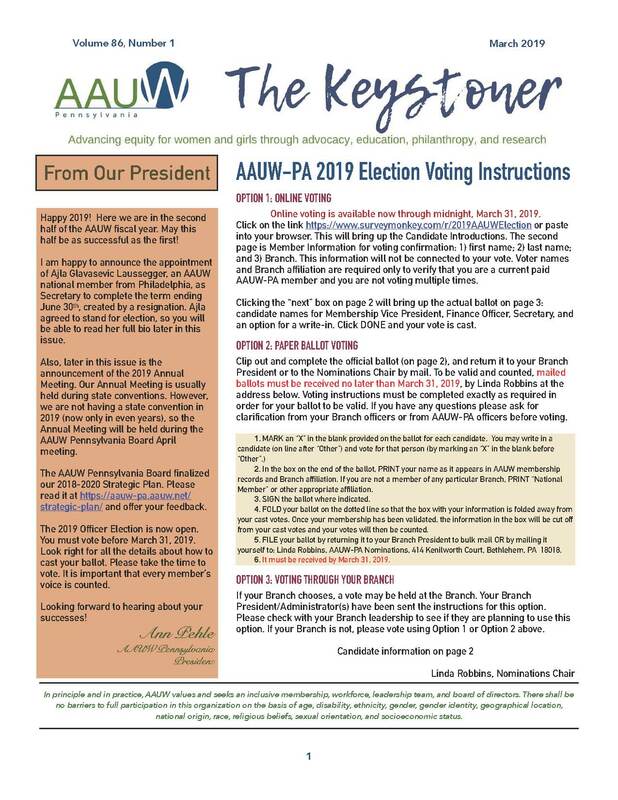 This new tool has been developed by the state board for use by the AAUW branches in Pennsylvania. The handbook is a concise manual containing some of the basic information branches in AAUW may need in order to function within the organization. Included are topics such as Financial Matters for Nonprofit Organizations, Branch Bylaws, AAUW Member Services Database, Communications and Publicity Tools, Branch Archives, Meeting Minutes, AAUW National Resources, and AAUW Member Benefits/Discounts. The handbook is not meant to be an all-inclusive manual about AAUW, but instead to provide the rudimentary information about required and optional tasks an AAUW branch performs with links to explore further information if needed.